Listing courtesy of Amanda Stanworth (CalBRE #01262333), Coldwell Banker Property Shoppe. Home Sweet Home. 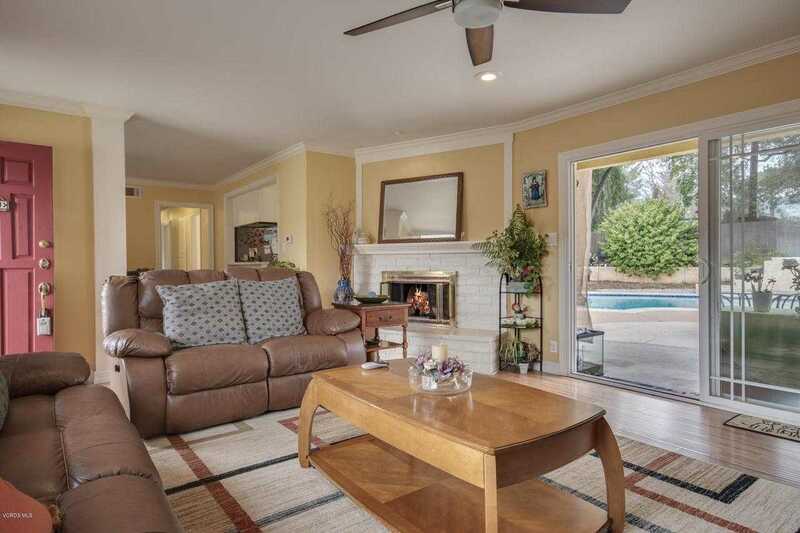 Come and enjoy the easy life in this well maintained 4 bedroom 2 bath Pool Home with mountain views, large private backyard and located in a great neighborhood. This completely updated home has a lovely living room with a large glass slider out to the pool and yard areas and a cozy fireplace. The Kitchen has a mountain and pool view, tons of cabinets, quartz counter tops and open to the dining room. The home has a two car garage, solar heated pool, central heating and air, recessed lighting, newer flooring and fresh paint, updated bathrooms, dual pane windows, and more. This home is super clean and ready to move in to! Building size: 1443 sq ft.